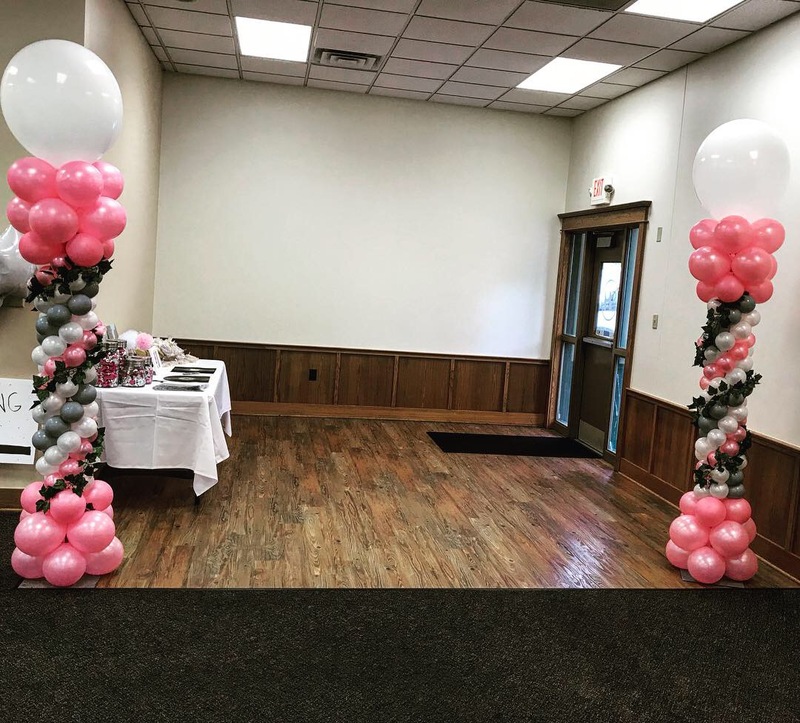 Columns can be made to your desired height. 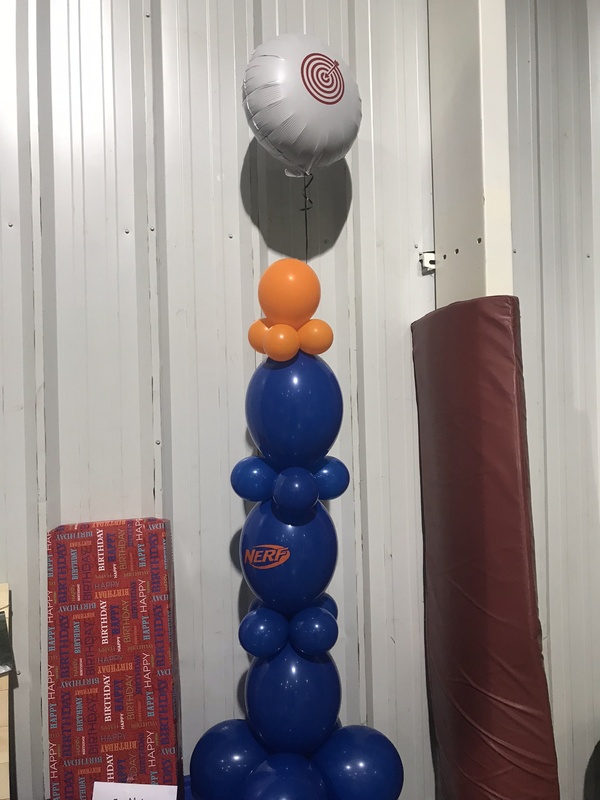 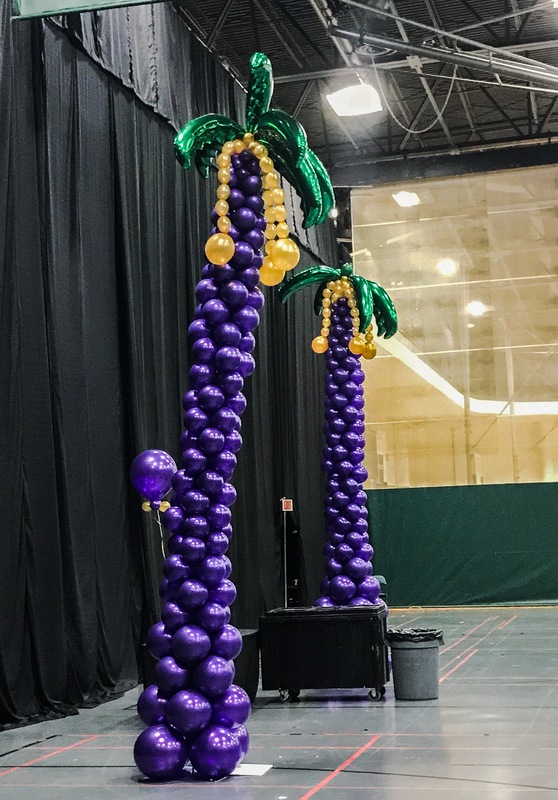 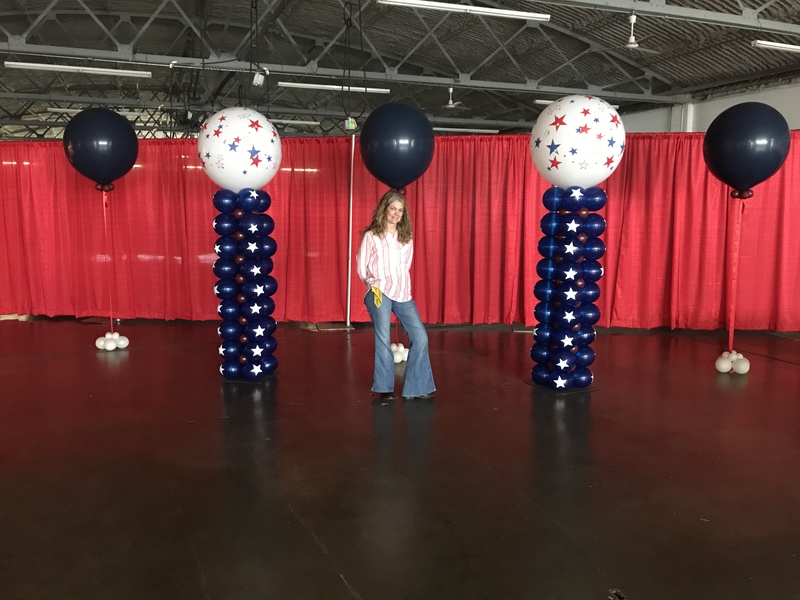 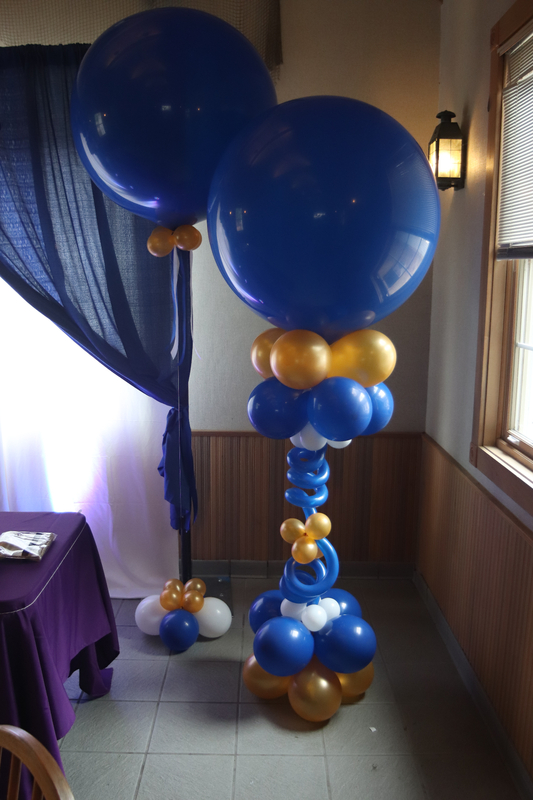 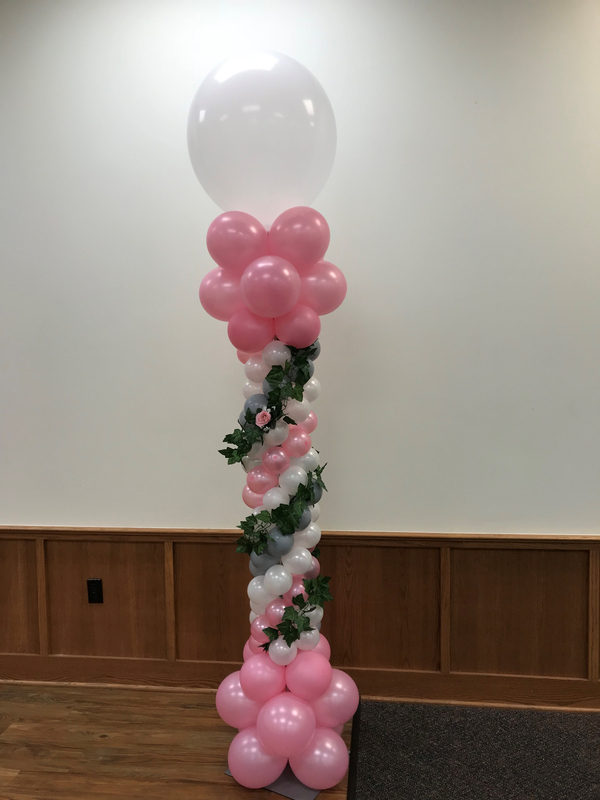 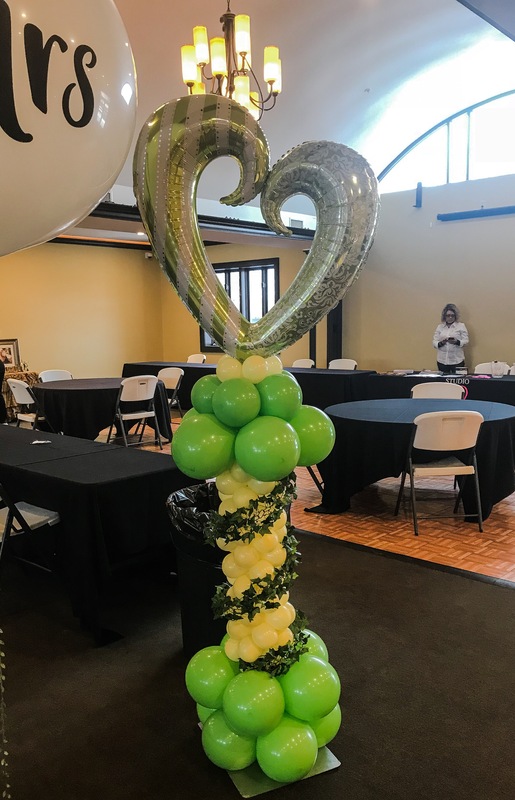 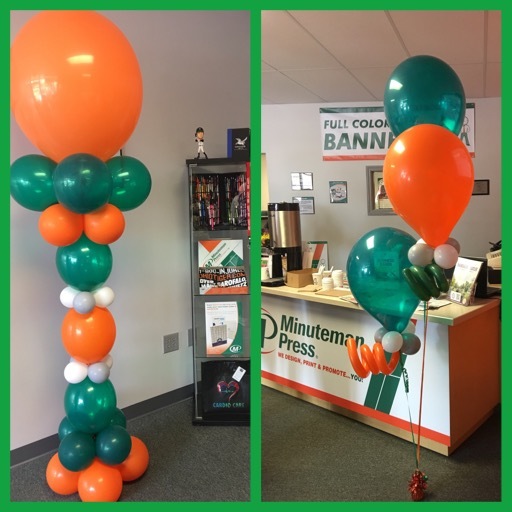 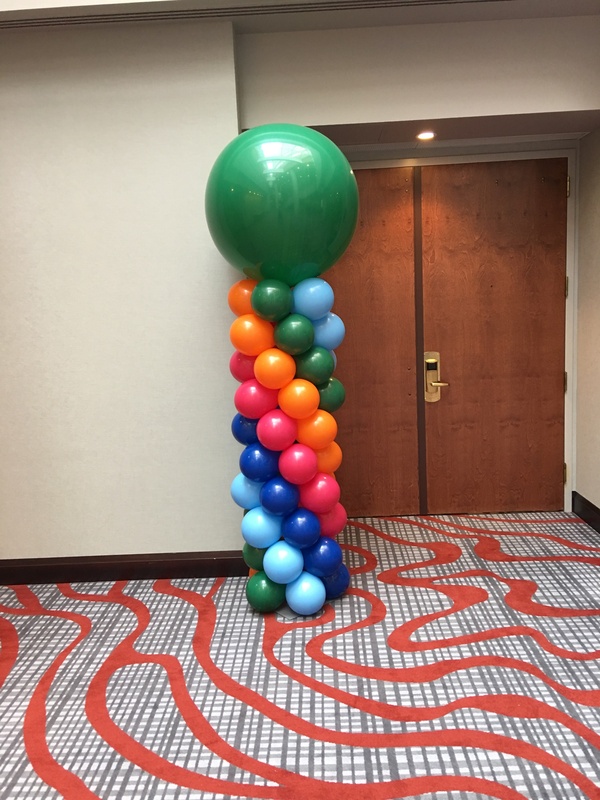 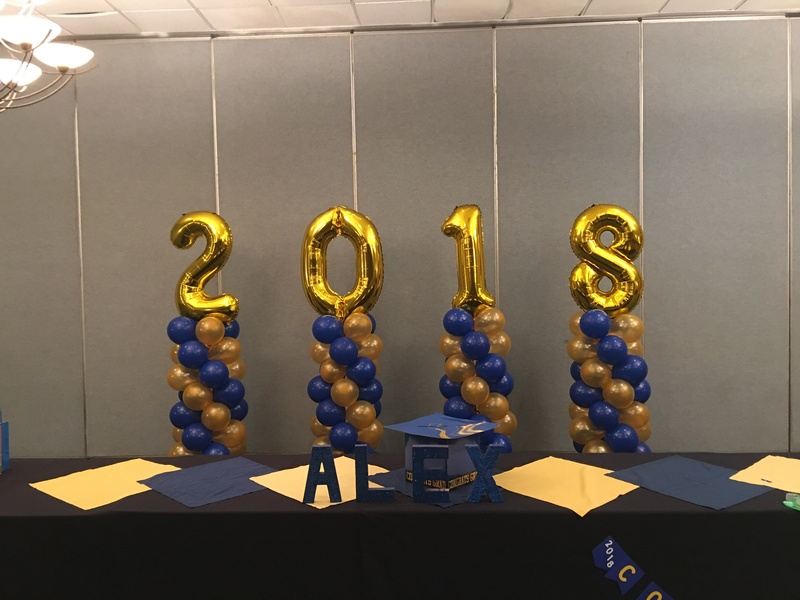 Small columns are 4 foot tall with a topper and are perfect for small areas or events such as baby showers, birthdays, graduation parties etcetera. 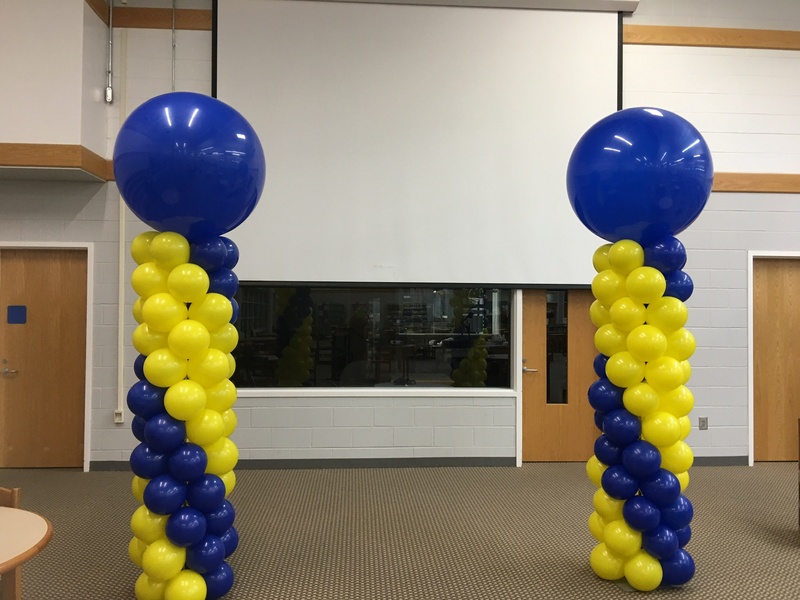 Standard columns are 5-7 foot with a topper and tall columns are 7 foot and up. 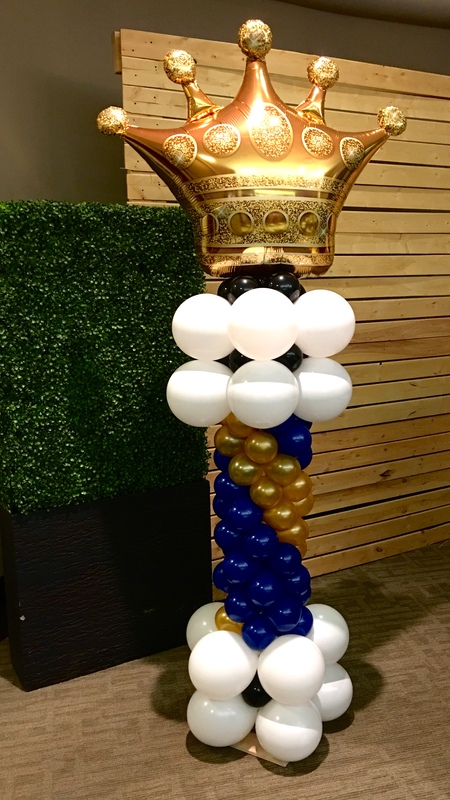 Tall columns are suited for cathedral ceilings or outdoor use. 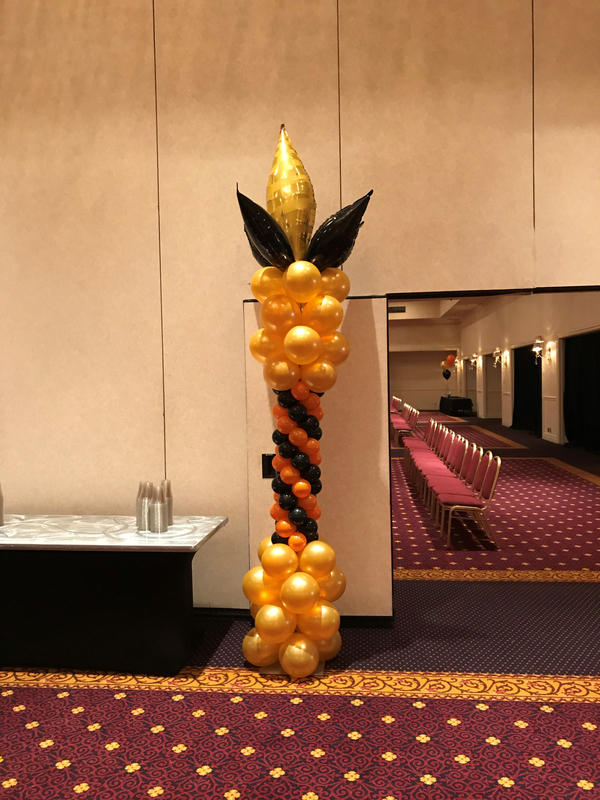 Columns are priced per foot (plus topper) depending on the style of column, number of colors and design of the column. 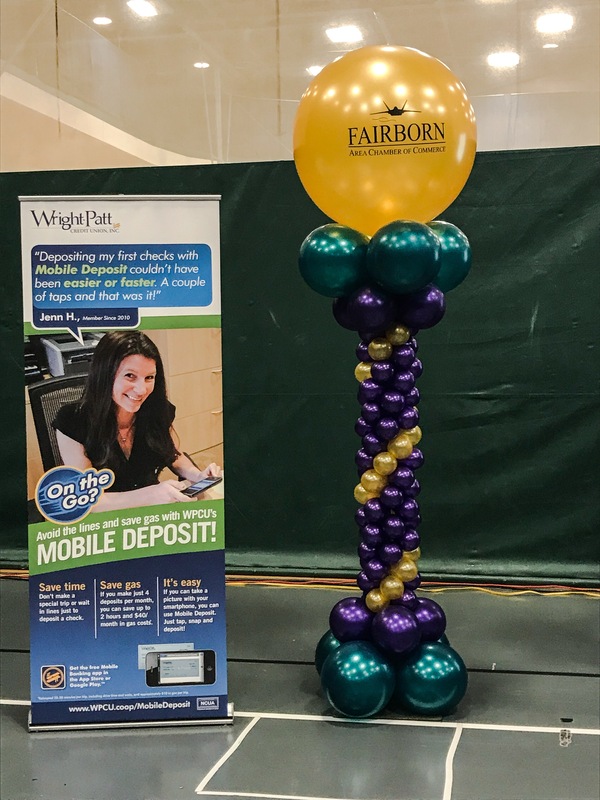 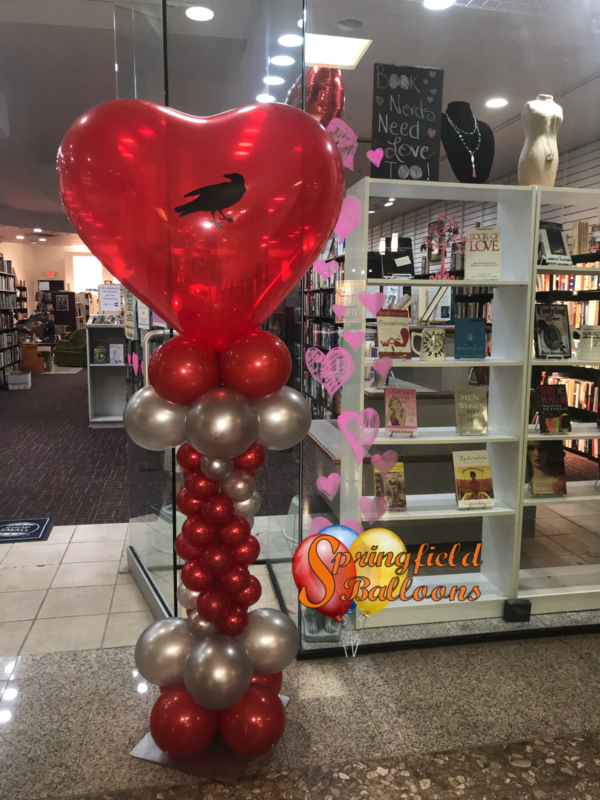 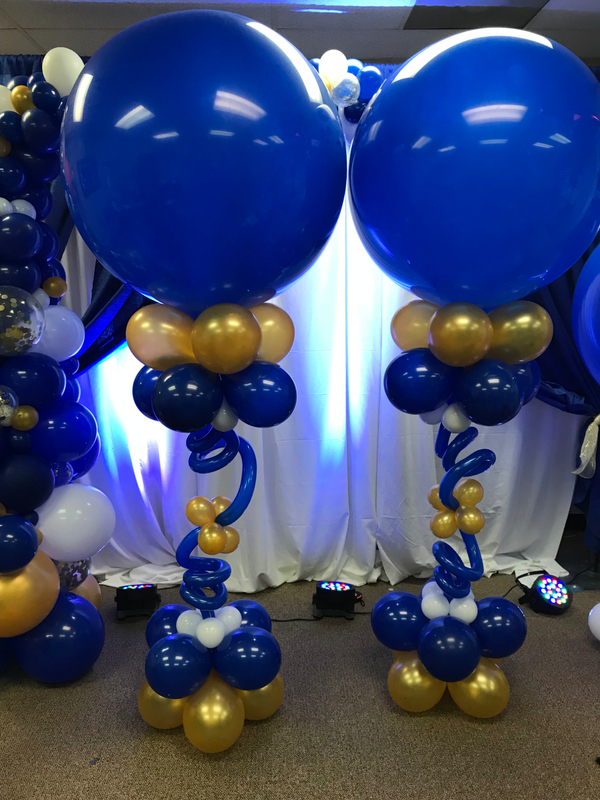 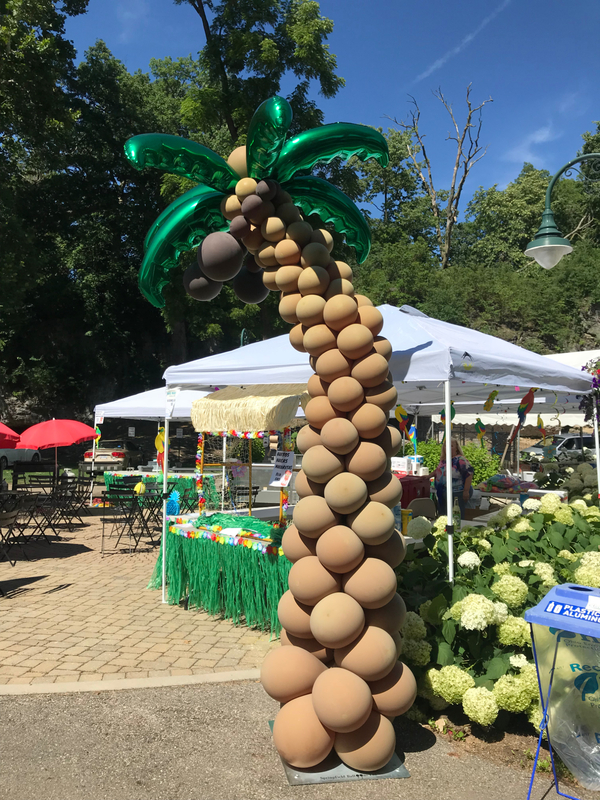 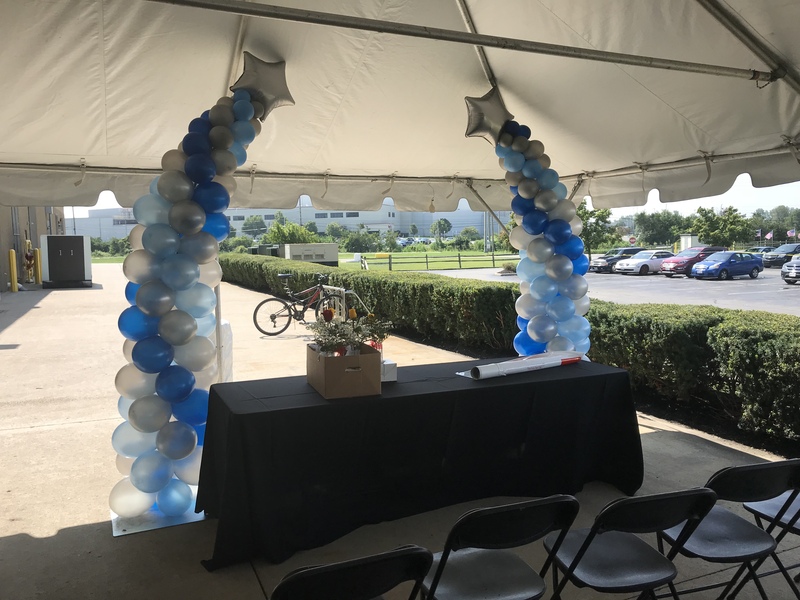 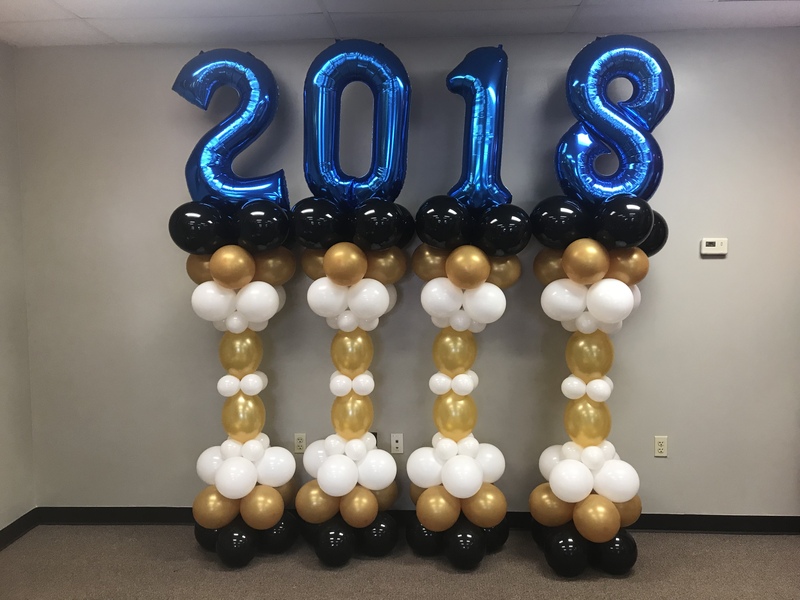 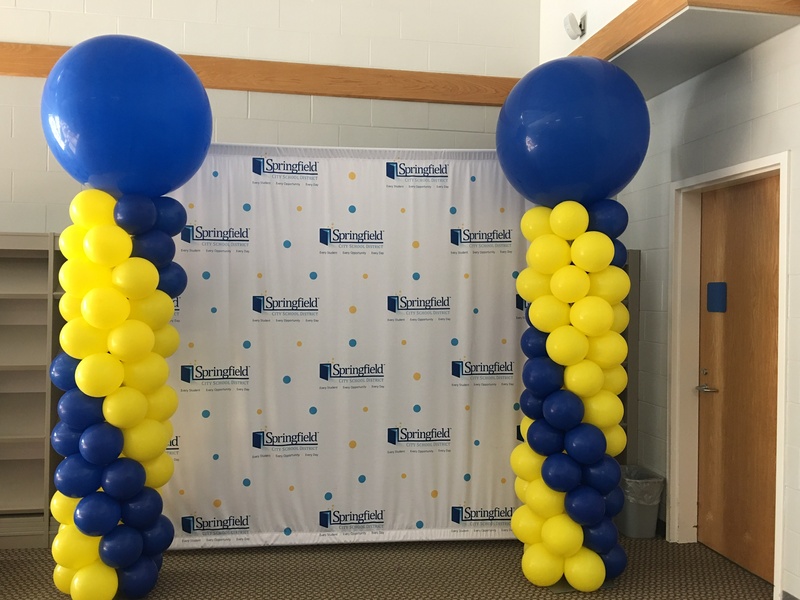 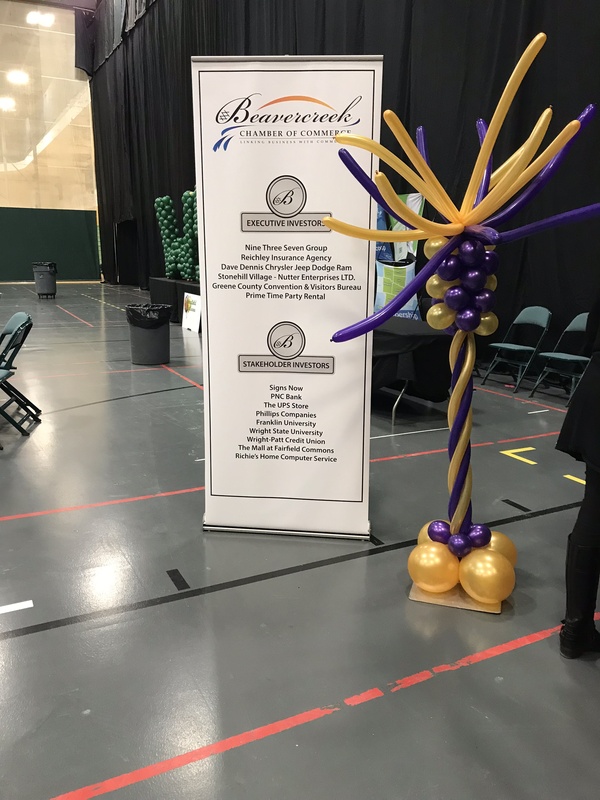 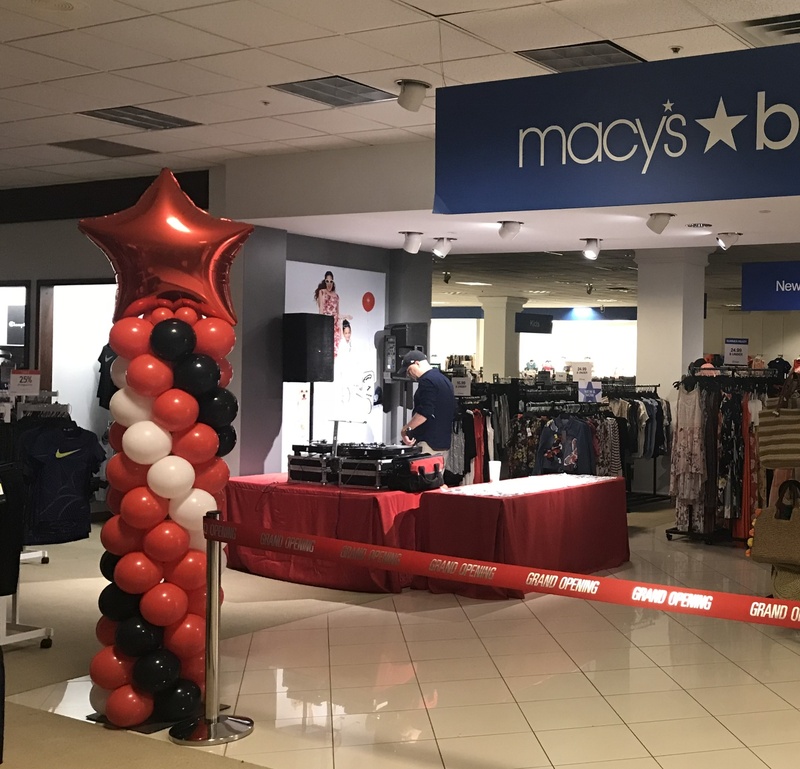 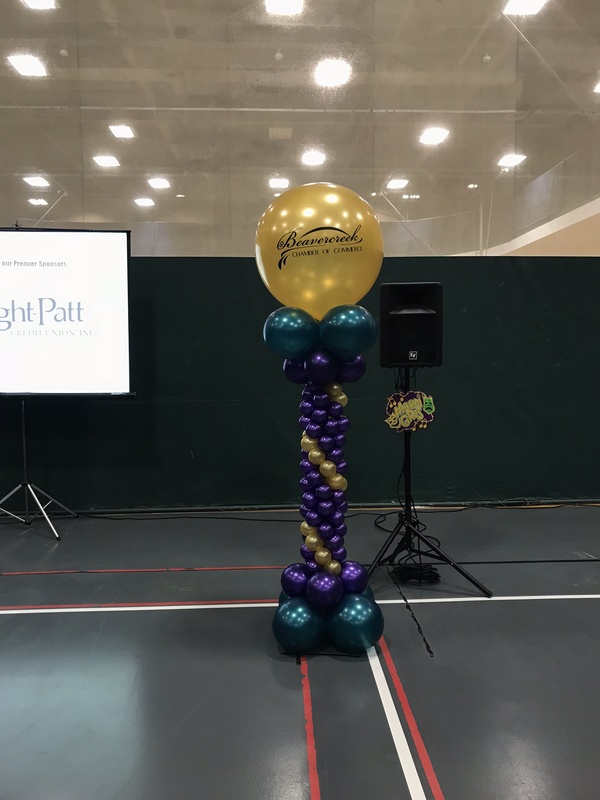 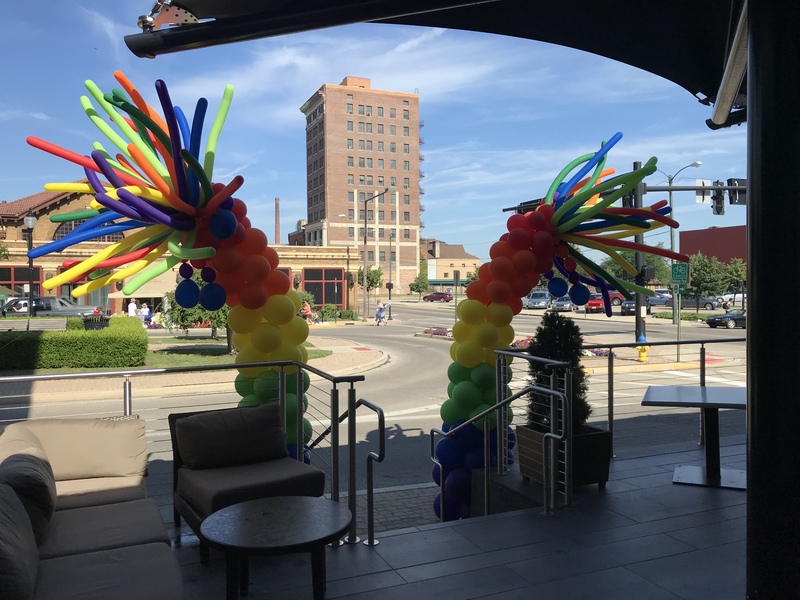 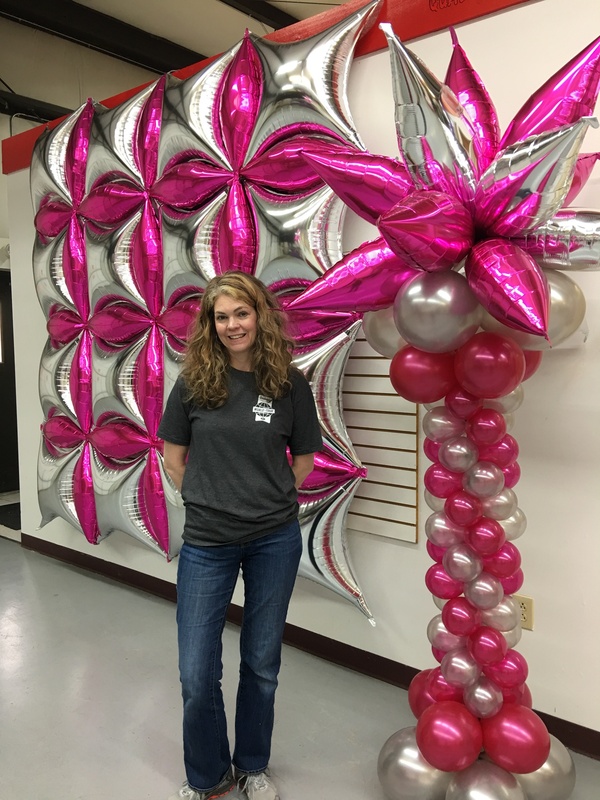 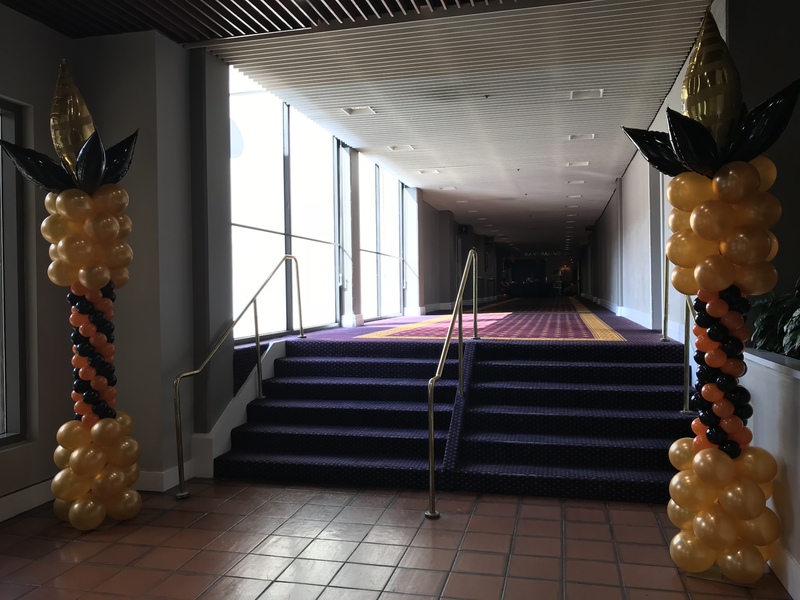 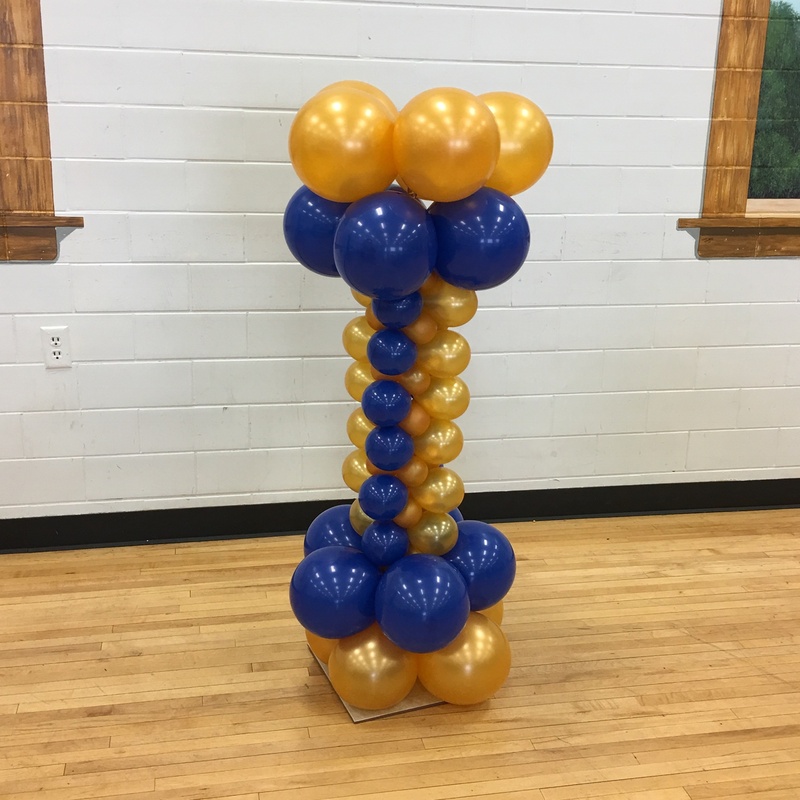 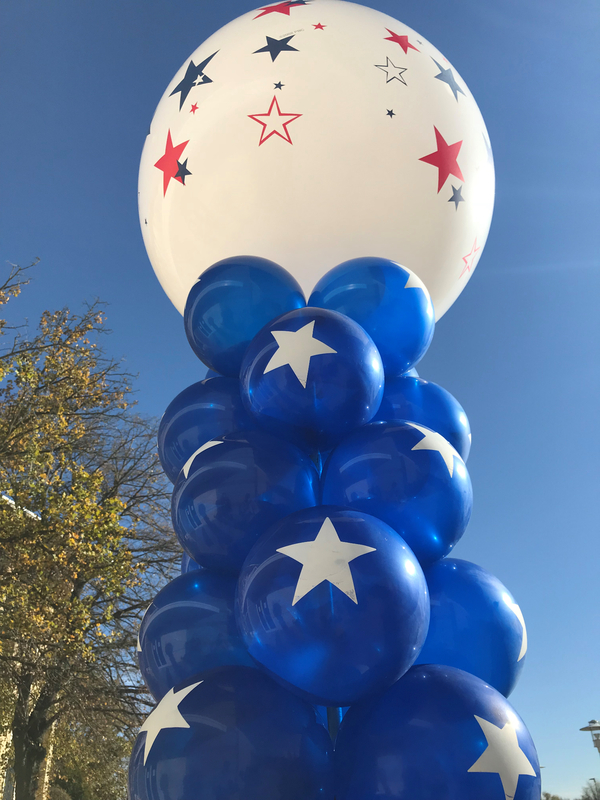 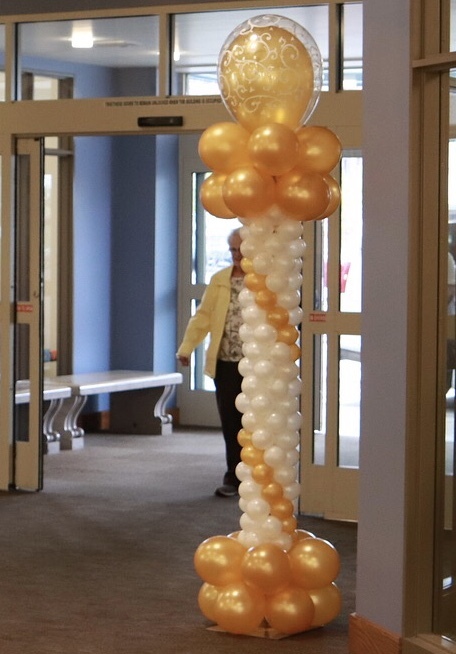 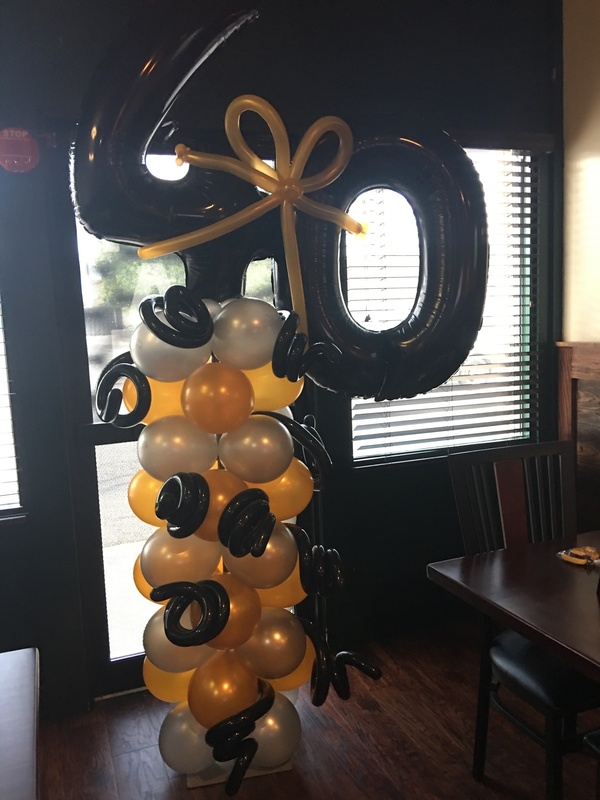 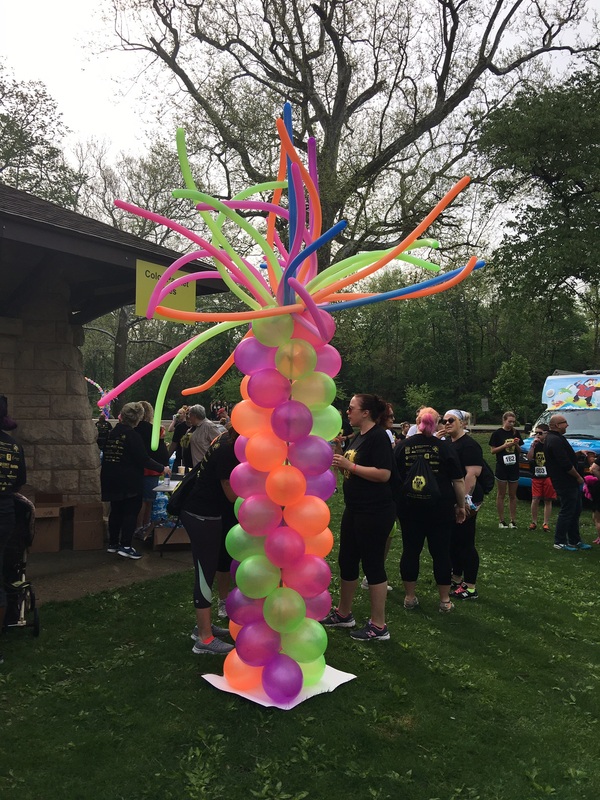 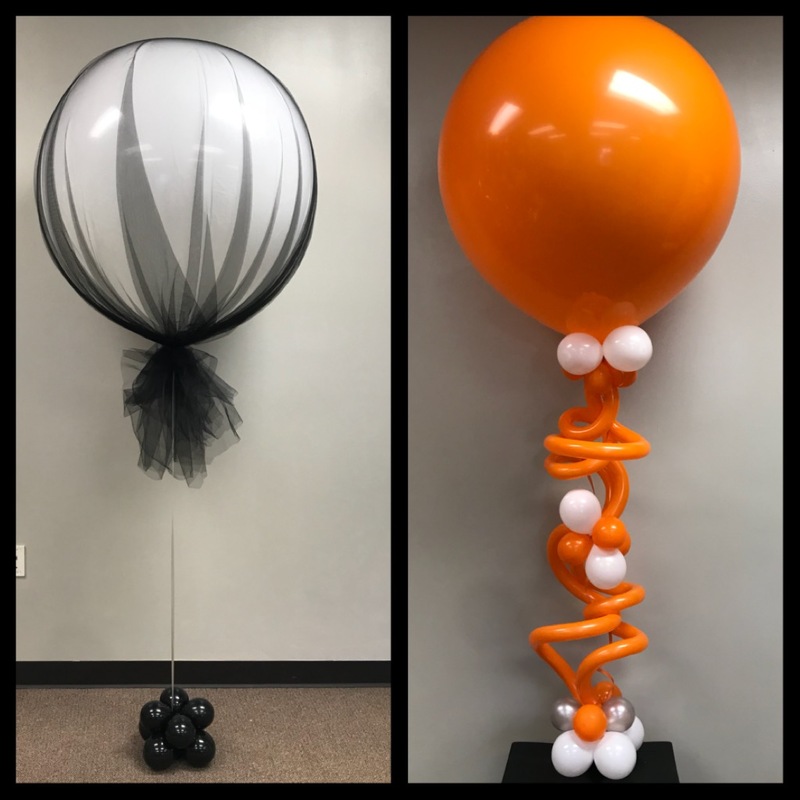 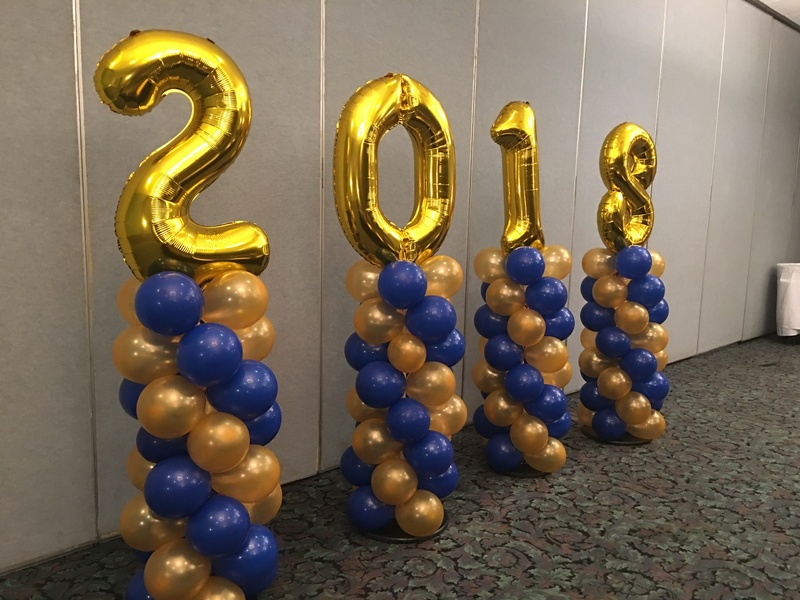 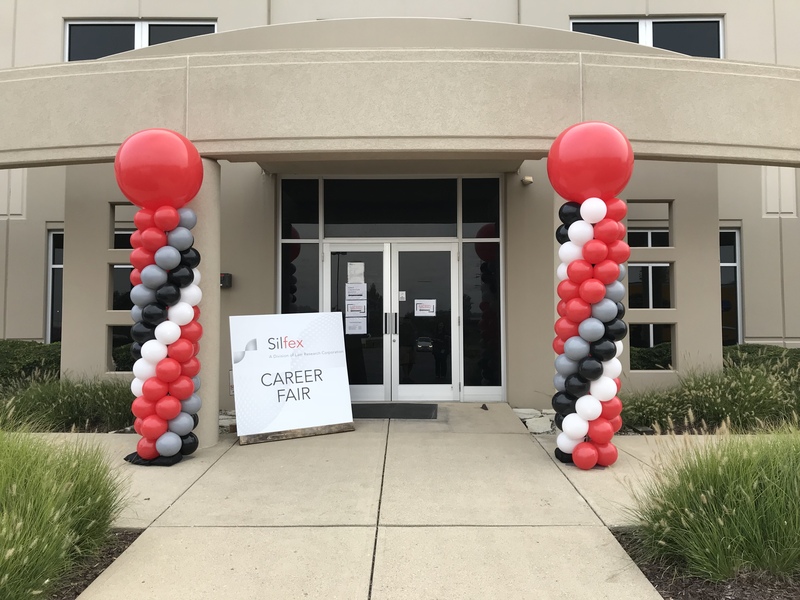 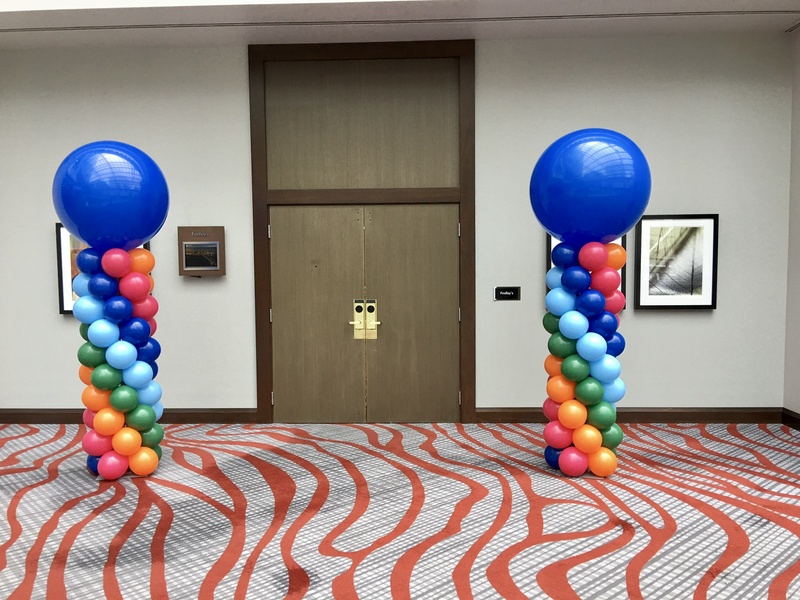 Toppers can be a 3 foot round balloon (with or without a logo or print), jumbo foil shape, jumbo number or a big bunch of long balloons. 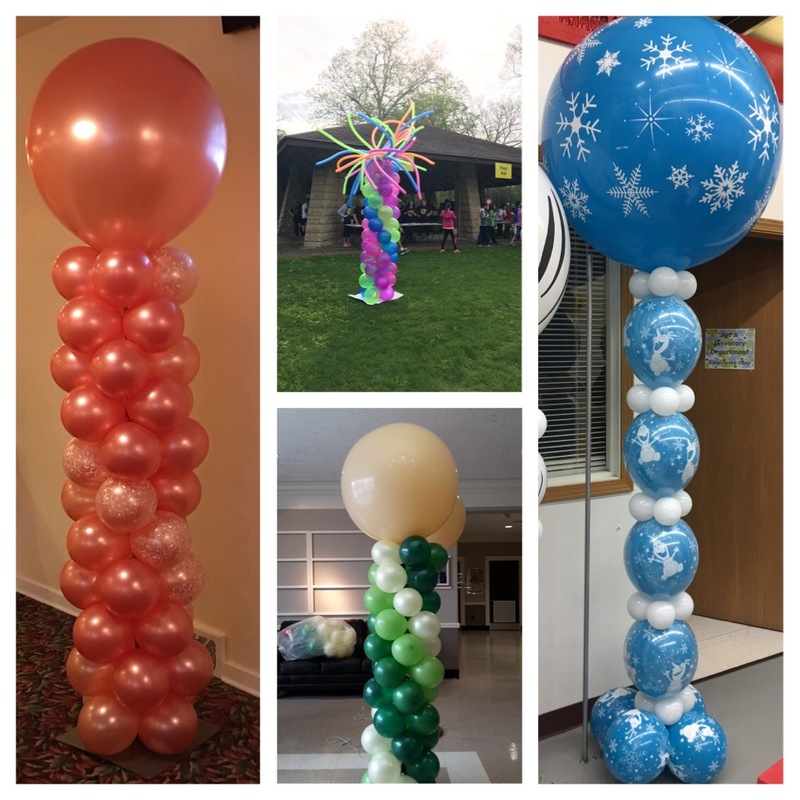 Typical pricing for standard height columns with a topper are $75-$125.